Nautica Aqua Rush Gld Eau De Toilette is an aromatic masculine fragrance for the modern men. With extra-ordinarily pleasing top notes and fine selection of complimenting notes, Nautica makes you ready to conquer the ground like a proficient gentleman. Top Notes: Bergamot, green Mandarin, Lime, pink Grapefruit, Pitahaya, Apple and Seaweed; Heart Notes: Pink Pepper, Nutmeg, Sea notes, Jasmine, Water ily and Violet root Base Notes: Cedar, Vetiver and Musk. 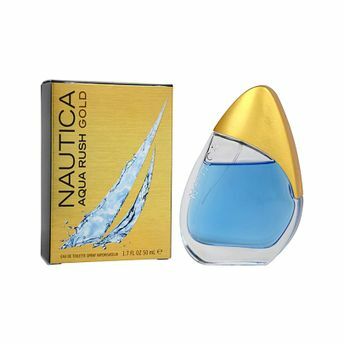 Alternatively, you can also find many more products from the Nautica Aqua Rush Gold Eau De Toilette Spray range.